This is what my head feels like this morning. I thought it would be appropriate for the day after New Year's Eve (aka New Year's Day) in case yours does too. Misery loves company. Company now comes in the form of a Nuke Lamp. 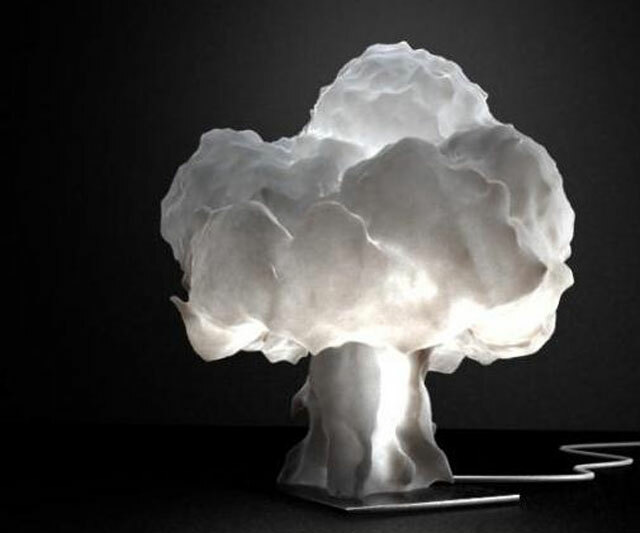 And if your brain isn't preparing to explode forth from its cranium as a result of last night's festivities, maybe the 3D printed mushroom cloud's nearly $1,400 price tag will inspire it to join in on the fun. The steep cost of Veneridesign's table lamp is due largely* to the complexity of its creation. Real fluid dynamics simulations fabricated the cauliflower head's intricate bulges and craters, and an atomic split producing free neutrons and photons serves as the nuke's light source. Lamps arrive as two separate packages: one with the 3D printing from Shapeways, and the other with a kit containing a bulb (gotcha on what makes it light up!) and stand from Veneridesign. 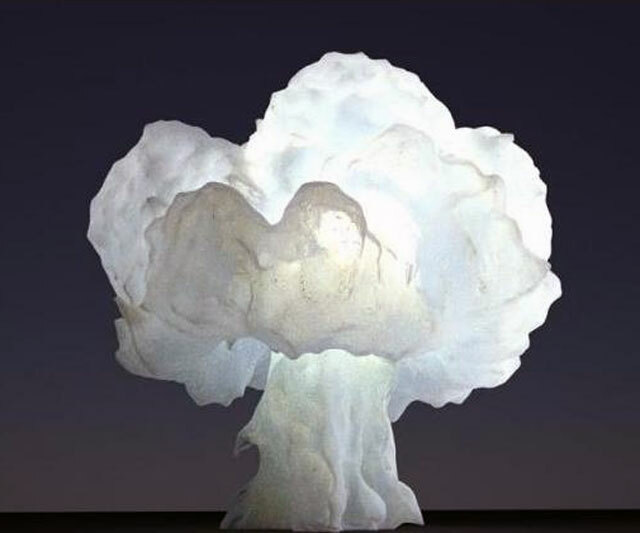 Nuke Lamp dimensions are 10.96" wide x 11.495" in diameter x 9.998" high. More into cloud love than cloud war? Check out the Cloud Levitating Sofa. *Other factors include humans' love of money.